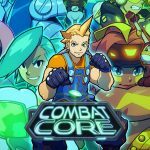 Home » Indie » 60 Seconds! The suburbian nightmare of a nuke dropping down on your neighborhood. As Ted, a responsible citizen and a family man, you are faced with a slight disturbance to your happy, suburban lifestyle. THE NUCLEAR APOCALYPSE. Not to worry, Ted knows what to do! The government’s superb early warning system gives ted 60 seconds to take cover in the fallout shelter under his house. With such a limited to impact, guide Ted in a mad, intense and action packed dash through his house in search of his family and useful supplies. That’s more than enough time for ted to collect supplies and of course his family! Now Ted can safely enjoy those charming sunsets over the radioactive wasteland with his loved ones. 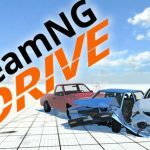 Share the story of your survival (or demise!) with the world. Let others know what you and your family have endured and let it become the next, radioactive wasteland tale. 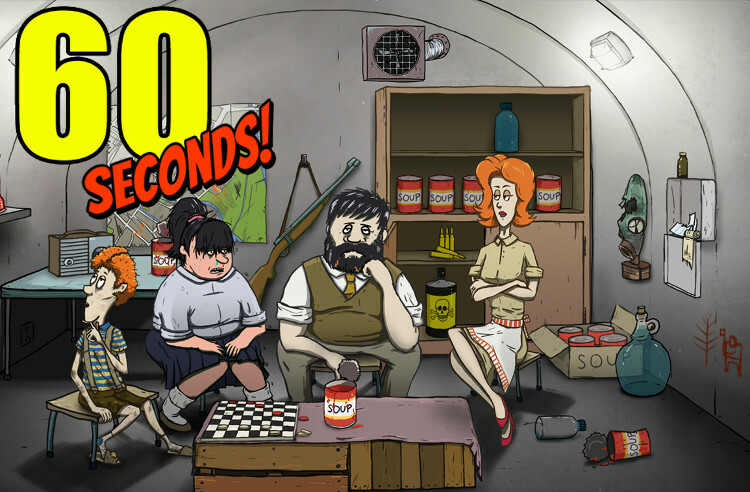 60 Seconds is a nuclear survival game in which you have 60 seconds to grab supplies that will help your survive in the bunker. The great graphics and minimalistic music give the game an authentic feeling and the gameplay is something that is a superb combination between text-based survival and the action filled scavenging part. Think of this game as Fallout’s little indie brother.